An outright gift. This allows you to benefit HSU today and receive a federal income tax charitable deduction when you itemize. A gift in your will or living trust. 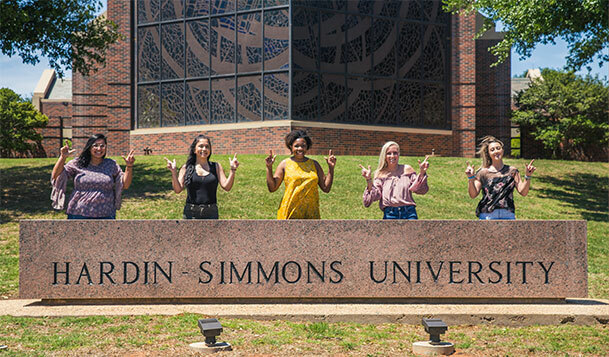 You can leave a legacy at Hardin-Simmons University by donating property to us through your will or living trust. A bargain sale. You can sell HSU your property for less than the fair market value of the item. For example, if you sell us an antique for $25,000 that is worth $50,000, you will receive a federal income tax charitable deduction of $25,000 plus the payment from us of $25,000. A memorial or tribute gift. If you have a friend or family member whose life has been touched by HSU, consider making a gift to us in his or her name. An endowed gift. Create an endowment or contribute to one that is already established to ensure that your support of HSU will last forever. Contact Mike Hammack or one of our development officers at (325) 670-1260 or plannedgiving@hsutx.edu for additional information on giving a gift of personal property.